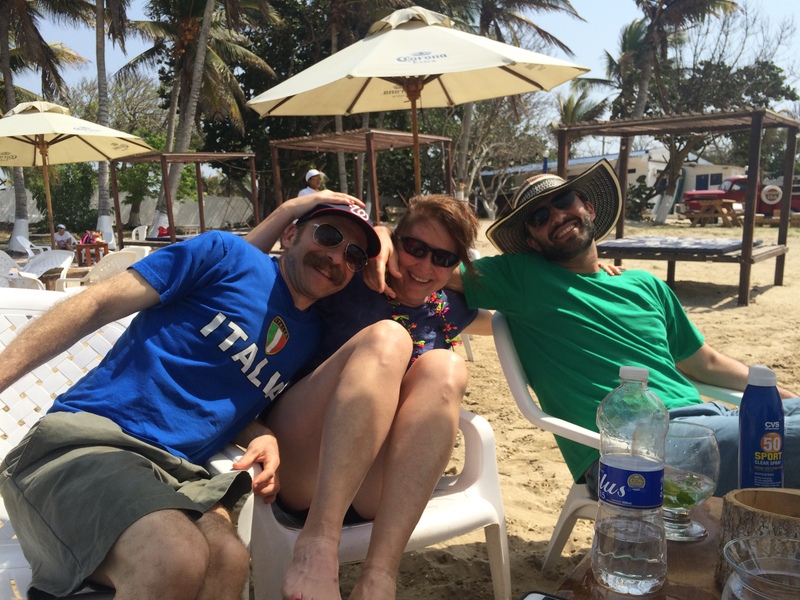 What a joy this week to head to Barranquilla for Carnaval with my best buds Shane and Ali. 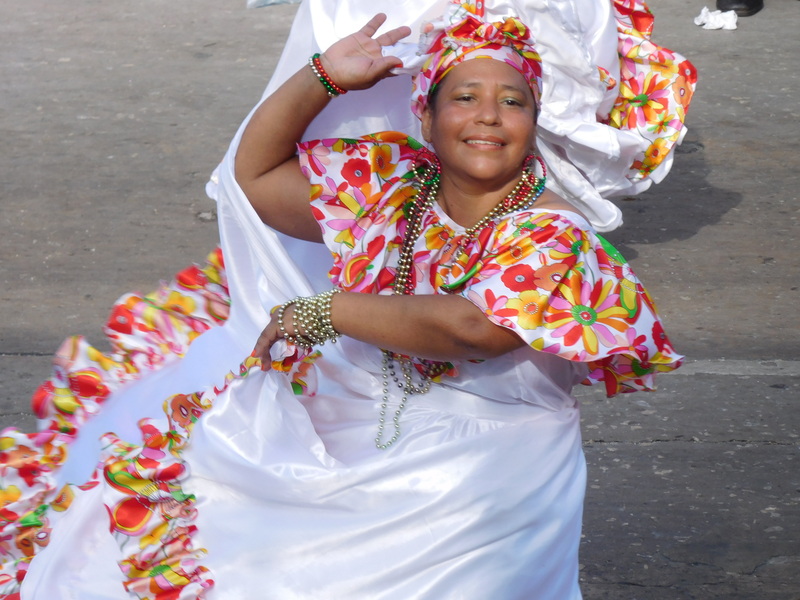 Carnaval starts in January and the uptick must be amazing. Because by the time we got there, people were out of their minds. Fireworks started at midnight, then again at 2:00 a.m., and again at 4:00. Our hotel must have been built from some resonant material because it behaved like a tuning fork – shimmying with every baBOOM like it was trying to get out and dance too. This shot is from the streets outside La Troja, the Barranquilla salsa landmark and musico-cultural patrimony – Celia Cruz has played there, and Ruben Blades, and a host of salseros I couldn’t identify if they danced across my feet. Shane does not know how to salsa, but obviously did not let that stop him. By the way, Shane, NASA called and they want their super polymer heat-resistant alloy shirt back. One of the more charming aspects of Carnaval is that people shoot you with foam and throw handfuls of Maizena – corn starch – at you all day, and all night. It’s a sweet, kind and friendly gesture among citizens and visitors who clearly care deeply about one another. Or, it’s a great way to pick a fight in a crowd and make donuts in your eyelashes. But, whatever. 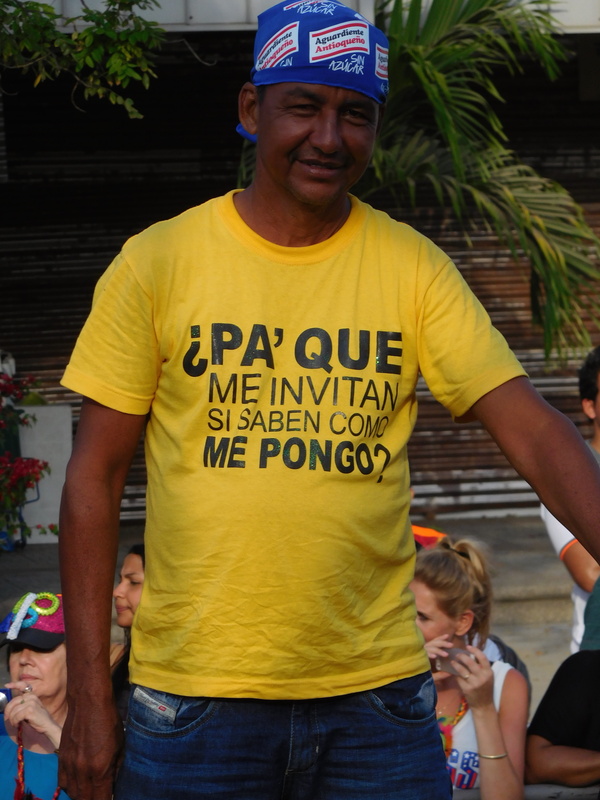 The videos are from the Gran Parada de Comparsas, whichÂ are roughly equivalent to the samba schools in Rio’s Carnaval – groups who’ve been training for months or years to come out and entertain strangers in the stultifying heat of midday in B’quilla. …all under that unrelenting, blistering sun.